One cannot miss Table Mountain as we could see the gigantic wonder from so many points in Cape Town during our sightseeing of this beautiful City. The picture above was captured at Bloubergstrand. The picture above was captured at the Castle of Good Hope. We visited Table mountain with the City Sightseeing bus, purchased our tickets for the CableWay at the City Sightseeing office for R290 pp (off peak season) and by doing so you don’t have to wait in the queue at the mountain to purchase tickets however we waited approximately an hour and a half to get up to the Cable Car – so wear comfortable shoes, ensure that you have sunblock, a hat and plenty of water as the Mother City sun can be very harsh and this should not be taken lightly, trust me. 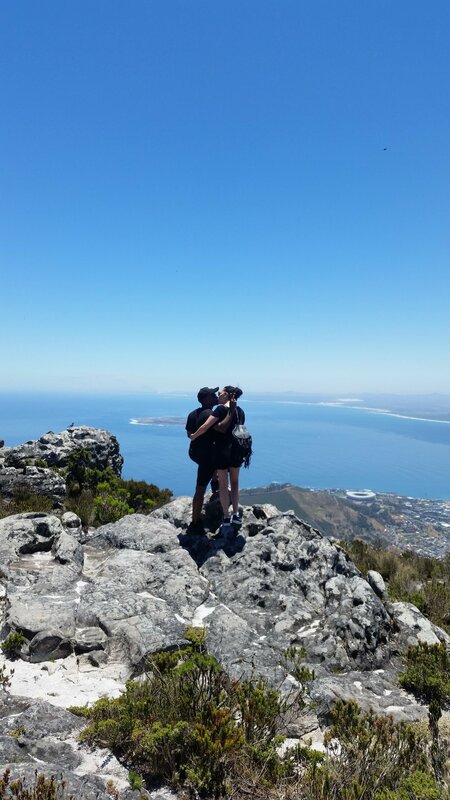 Once we made it to the top of Table mountain which is literally a 5 minute ride on a circular cabin that rotates giving all passengers a 360 degree view so that everyone on board can experience the most spectacular panoramic views of Cape Town and surrounds. One can also experience the unique fynbos plants which are indigenous to this area. Fynbos refers to fine leaves of the small bushes which evolved over millions of years to withstand the difficulties of poor soil, extremes of temperature and high wind. 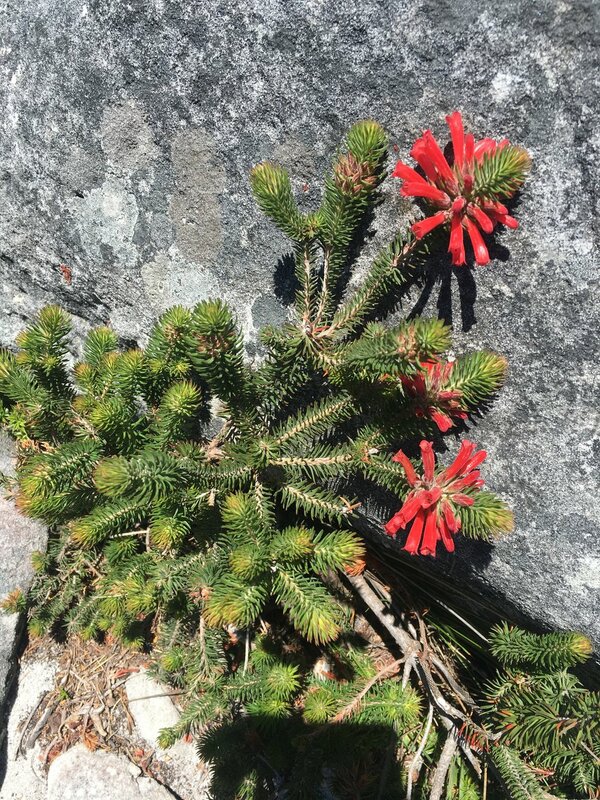 Over 1500 species of plant have been named on Table mountain alone, including the Protea (our national flower), Erica, Cape Reed, Daisy and Lily families. One can also spot unusual animal and bird life like the Rock Dassie for example because there are multiple walking routes with different degrees of difficulty including a wheel chair accessible route. 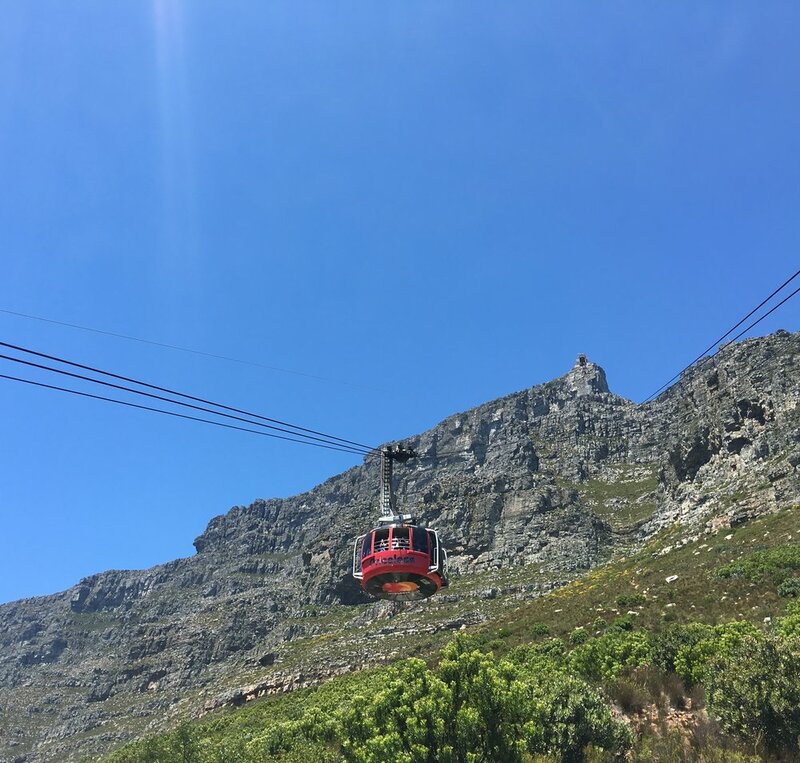 Tickets for the cablecar can be bought online too so you don’t have to wait until you get to Cape Town. Did you know that you can also see Lions Head from the top of Table Mountain, which is popular amongst hikers. Devil’s peak and Signal Hill. Table Mountain has been described as the people’s mountain and one can see why. Have you visited Table Mountain before?